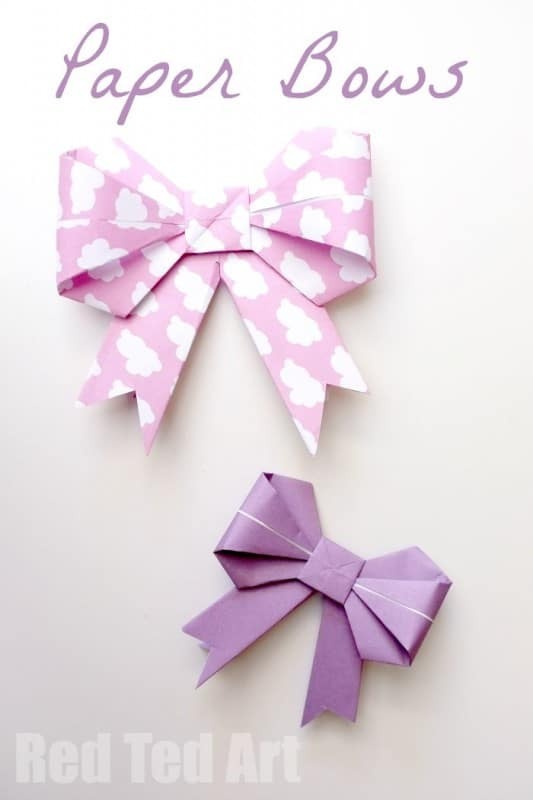 Home Page | Uncategorized | Origami Paper Bows ? GORGEOUS GIFT WRAP IDEA! Oh how I love love love paper bows! 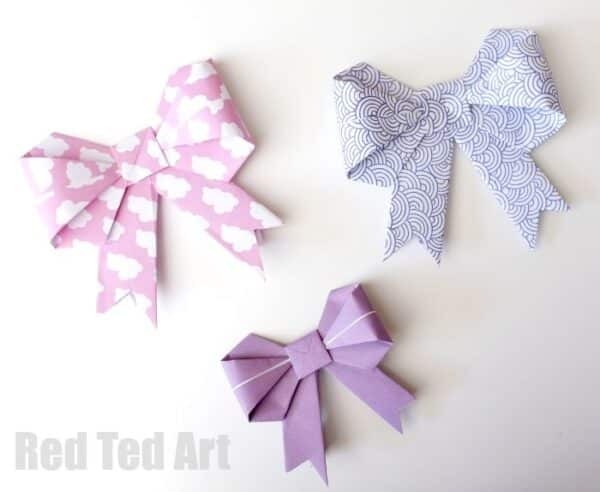 And now that I have finally gotten my YouTube channel *going*, creating a how to make a paper bow video was simply the best way to show you how to make this lovely Kirigami craft. Kirigami is the art of paper folding, where a little cutting is involved (as opposed to Origami, which is JUST folding and no cutting). You don?t have to cut a lot.. so don?t be put off! These paper bows look FABULOUS on brown paper parcels. I am ALWAYS running out of wrapping paper, but ALWAYS have brown paper.. pop on a paper bow and you are done. Gorgeous. Hope you enjoyed it and that you get to make lots and lots and LOTS of paper bows!